Across the United States today, we are honoring Dr. Martin Luther King Jr., one of American’s greatest heroes, and one of the many ways we can do this is to 3d print a bust of the civil rights icon or to recreate the monument erected in his honor with 3d printing, within a few hours. 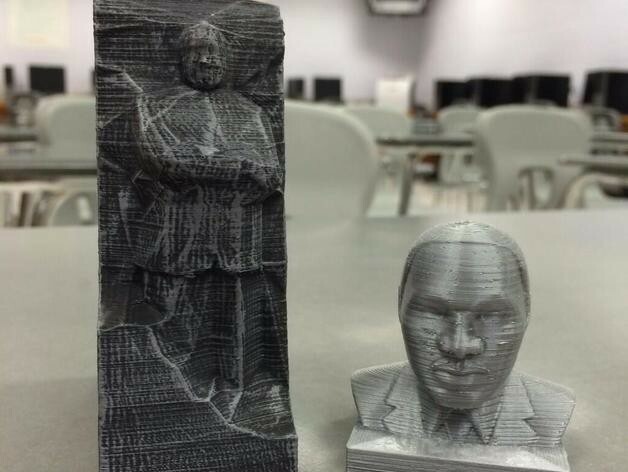 If you’re interested in creating a scaled down version of the MLK Jr. monument that’s been erected in Washington DC, it’s easy to do with a file published here on Thingiverse. Maybe you’d rather have a scaled down bust of Dr. King to place around your house, museum, school or office, to inspire others to fight for equality. Autodesk has you covered with this file available for free in its library. One of the reasons I wanted to publish this article is because 3d printing allows all of us to create objects within hours that honor all of our heroes and celebrate all of our holidays. 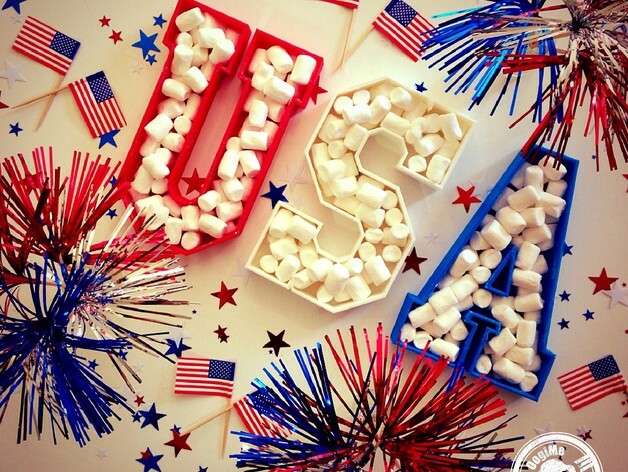 If it’s late June or early July and you want to create objects to celebrate Independence Day, download one of hundreds of available files related to July 4 and you’re good to go with something unique and inspiring. Maybe you want to 3d print George Washington just before July 4 to remind your guests and friends about the man that led America’s fight for independence. Maybe it’s the middle of November and you’re looking for some things to celebrate Thanksgiving with. Same idea. And we’ve gone over in great detail what’s available during Christmas season to decorate trees. The point is that one of the many things that 3d printing offers us is the ability to create timely, relevant items on the cheap within a few hours. Last year the National Museum of African American History and Culture was opened in Washington DC. If the museum decided they wanted to promote Dr. King or one of the many other civil rights heroes in American history on each of their birthdays, they have the opportunity to do so by creating objects that tell the stories of these heroes on-demand, within a few hours, instead of having to place orders months in advance to manufacture the promotional items. There are countless other examples of how additive manufacturing (3d printing) offers educators, brands, museums and just about everybody else the opportunity to create timely objects that would have taken months and thousands of dollars to make in the past with traditional manufacturing methods. Think about it: which one of your heroes would you like to have around the house, school or office? Go online, find a readily accessible file for that person and have it ready to go within hours to help tell their story. Changing the game one 3d print at a time.